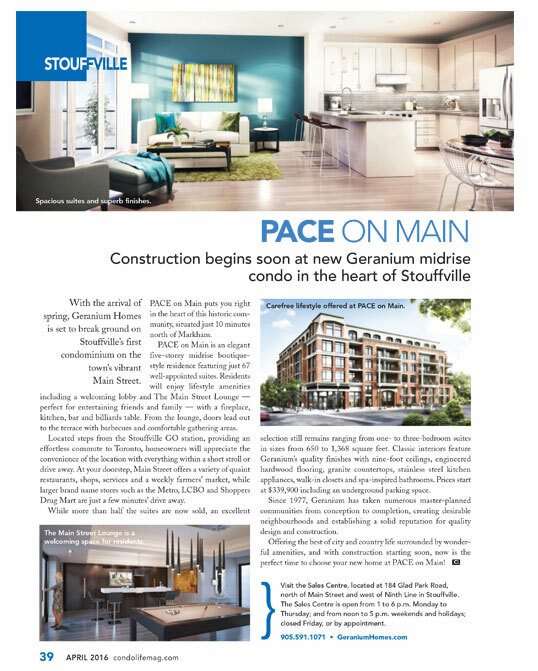 Come home to PACE on MAIN and you’ll discover that it’s more than just an address, it’s an opportunity to enjoy life at your own pace in the heart of Downtown Stouffville. 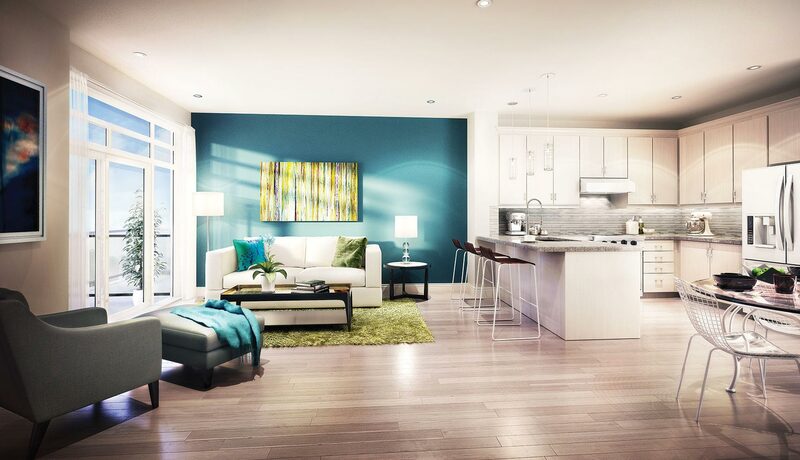 This intimate collection of just 67 residences is nestled within a neighbourhood of rich heritage architecture and meandering century-old treelined streets. 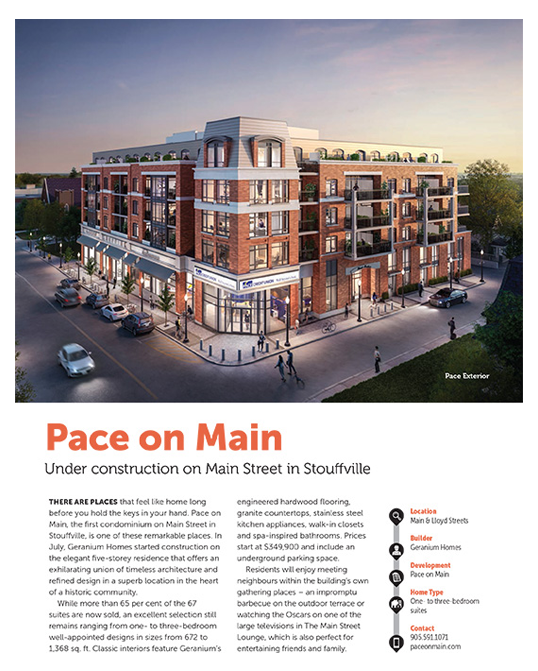 Life at your own pace is a Main Street lifestyle where day-to-day shopping mixes with one-of-a-kind boutiques — and inviting coffee shops, bistros and restaurants are all at your door. Just a stroll away is Memorial Park and its adjoining trail system. Endless fitness and cultural activities can be found at the Whitchurch-Stouffville Leisure Centre or 19 On The Park Lebovic Centre for Arts & Entertainment. 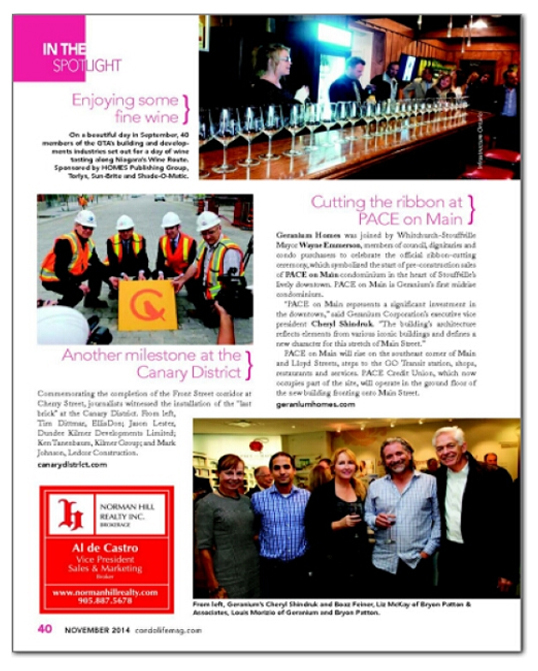 And the surrounding countryside is home to great golf, country markets and more. With its proximity to Highways 48, 404 and 407 trips north to Cottage Country are a breeze — and for work or play, Toronto to the south is just a short drive or easy GO Train ride away. 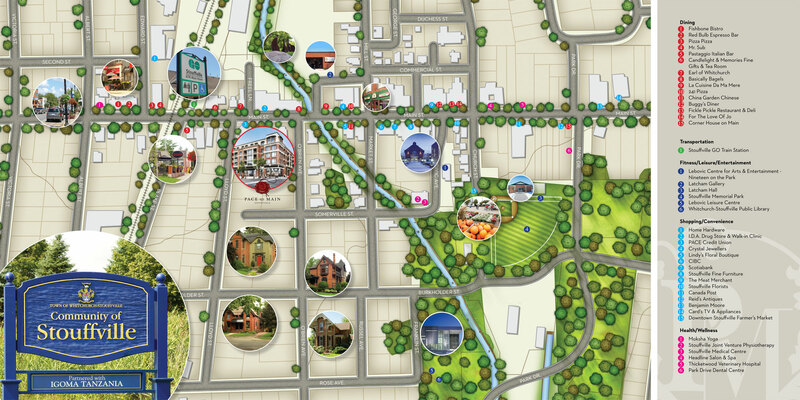 Learn more about the Town of Whitchurch-Stouffville Events and Activities.